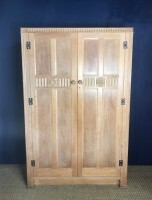 A 6 piece Limed oak bedroom suite by the Bath Cabinet Makers Company c 1930 comprising a 2 door wardrobe, a tall chest, a mirror back dressing table, a stool, a bedside table, and a 4 ft 6 ins wide double bed. 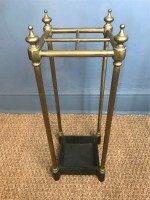 A small Edwardian brass stick or umbrella stand circa 1910 in excellent solid condition. 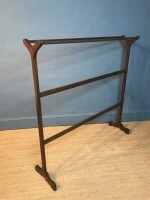 A large Regency mahogany Country House towel rail circa 1820 in good solid condition . 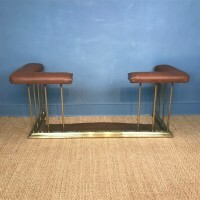 An excellent quality Art Deco luggage rack circa 1920 unusually in solid rosewood in excellent solid condition. 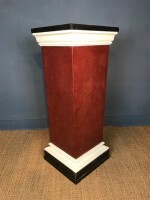 Read more: A late Regency simulated porphyry black marble and plaster tapering rectangular pedestal circa 1830. 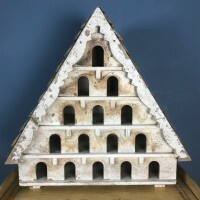 A small Edwardian painted bird loft circa 1910 with the original decoration. 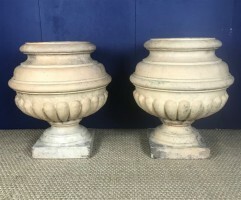 A large pair of Scottish Gartcraig terracotta Urns . 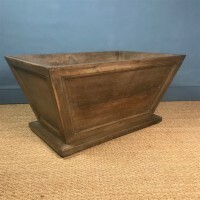 A large pair of Scottish Gartcraig terracotta Urns . Glasgow circa 1850 in excellent original condition. Read more: A large pair of Scottish Gartcraig terracotta Urns . A set of 4 Italian marble statues of the Four Seasons circa 1930 . 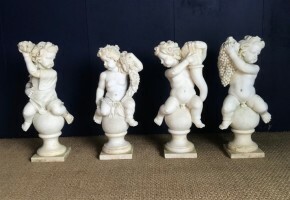 A set of 4 Italian marble statues of Cherubs circa 1930 representative of the Four Seasons in baroque style. Read more: A set of 4 Italian marble statues of the Four Seasons circa 1930 . 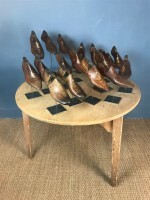 A collection of 18 Victorian Padouk wood shoe lasts by Lobb and Co St James London c 1880 all inscribed with the clients names in gilt lettering and the name of London’s most famous cobblers. 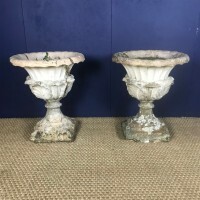 A pair of early Victorian terracotta country House Garden Urns circa 1840 of Campagna form with leaf decoration . 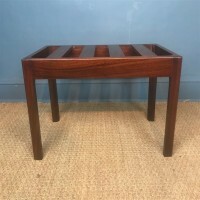 Damage and repairs to both stems and base but in solid usuable condition. 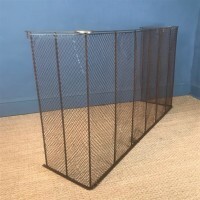 23 inches diameter 28 inches high. 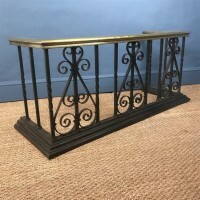 A Victorian brass and wrought iron club fender circa 1890 of excellent weight and gauge and in good solid condition. 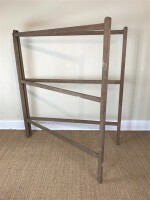 A large Victorian pine country house towel rail circa 1880 with the original painted decoration having hinged sides and three hanging horizontal rails. 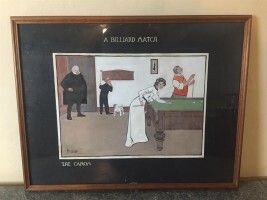 A set of four Edwardian Billiard prints c 1910 by Thackeray hand coloured and heightened with gouache and plain oak frames.